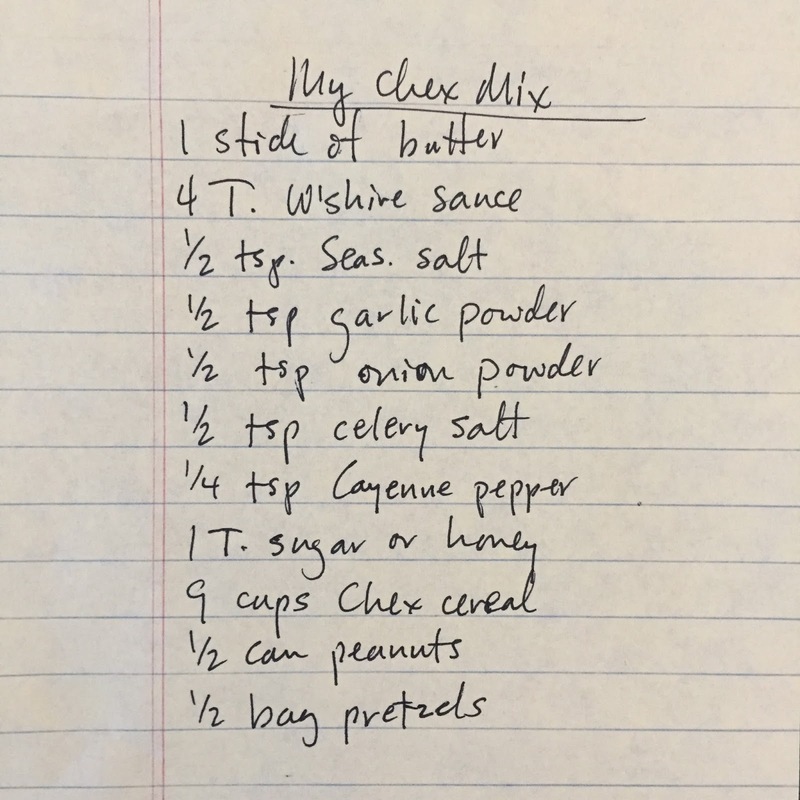 The first Indiana Home Cooks podcast of 2018 features reminiscences of my mom, Barbara Mercer. She sat down with me some months ago to record the first interview for a podcast venture that was still in the “concept” phase. In the intervening months I couldn’t find a good spot for it on the podcast. But with the winter winds blowing, snow falling, and the thermometer making its home in the single digits above and below zero, I thought it was the perfect time for the warm comforts of home. In the episode, Memories of Home, Mom reminisces about “butchering day” on the farm when she was a young girl in Clay County. As I listened to her descriptions, I couldn’t help thinking about the “Little House” books by Laura Ingalls Wilder. These were some of my very favorite books when I was a girl, and the charming illustrations by Garth Williams brought them even more to life than the vivid prose. 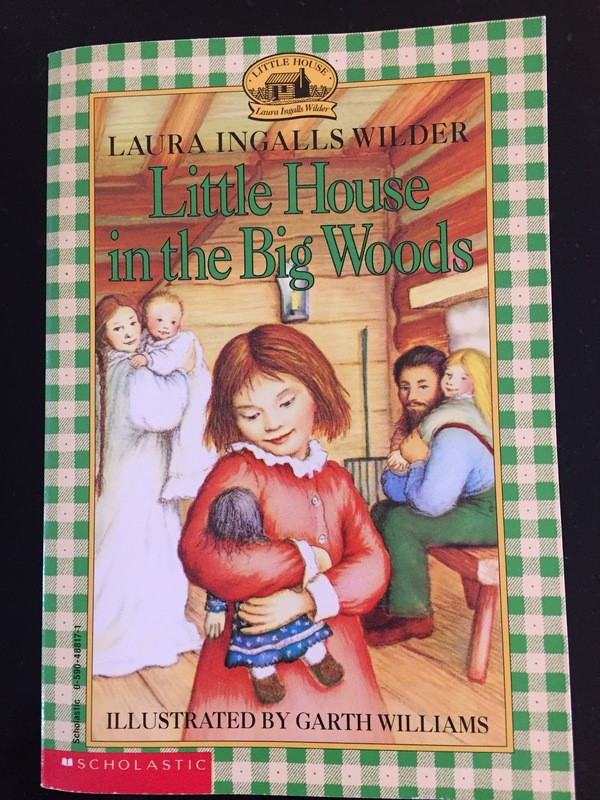 I pulled out my copy of Little House in the Big Woods, and sure enough, in chapter one, there it was–Wilder’s account of butchering day when she was a little girl. And not much had changed from 1870’s frontier Wisconsin to mid-20th century Indiana when it came to butchering a hog. 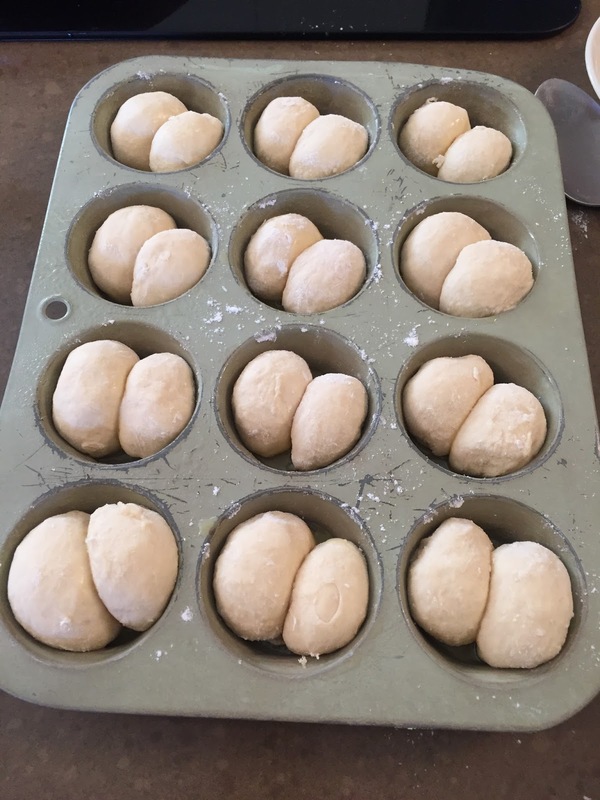 In a wrap up of the holidays, this episode also includes the step-by-step preparation of our Fluffy Yeast Rolls. 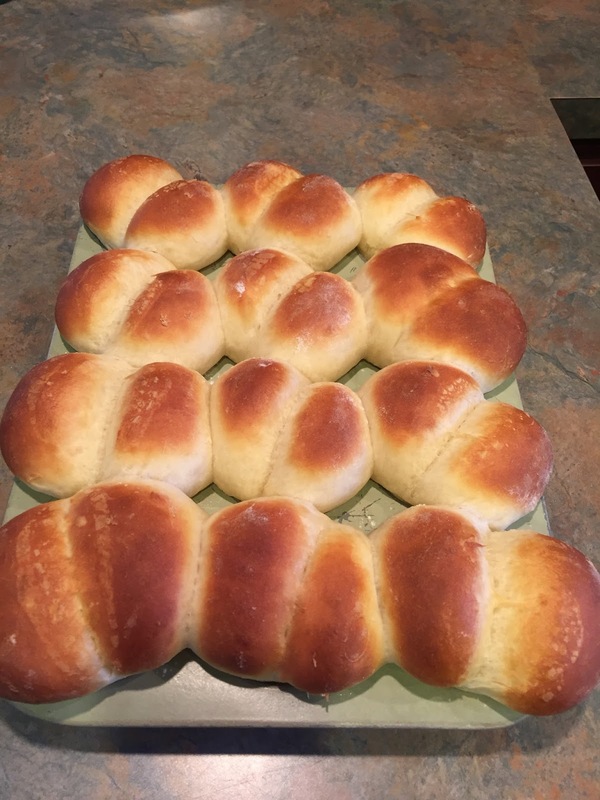 These rolls have been a staple of family dinners all my life. Special occasions, mind you, not everyday meals. 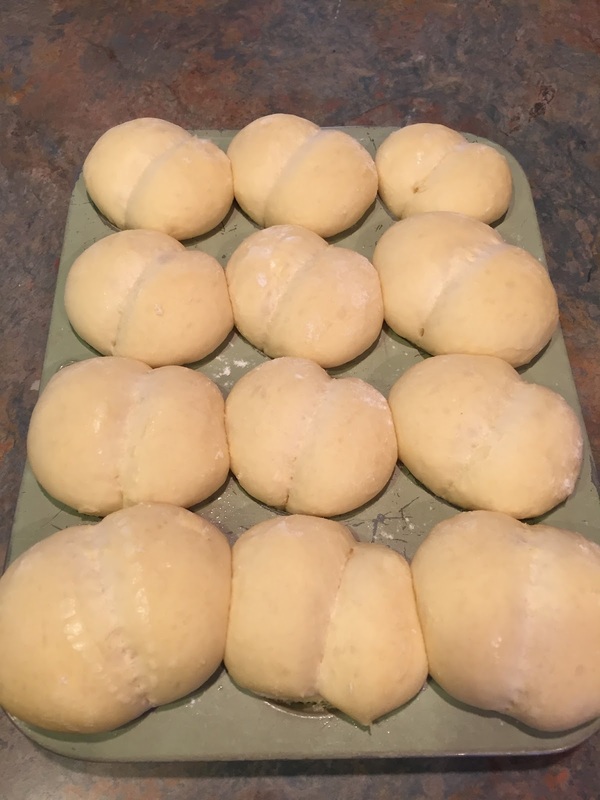 It’s not that the rolls are difficult or time consuming, but they do require a little advance planning, and they are pretty rich for everyday consumption. 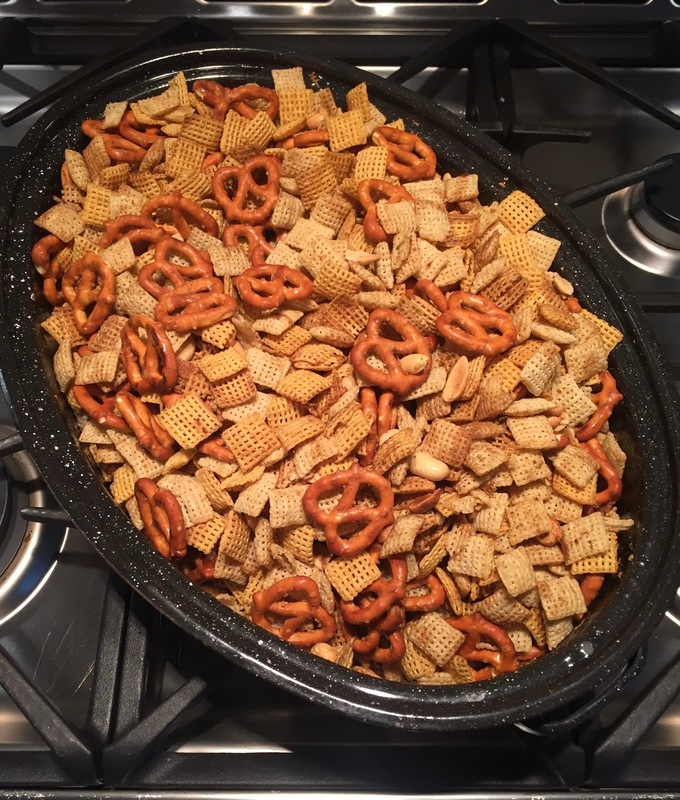 We make them at least once a year, at Thanksgiving, and sometimes at Christmas or Easter. 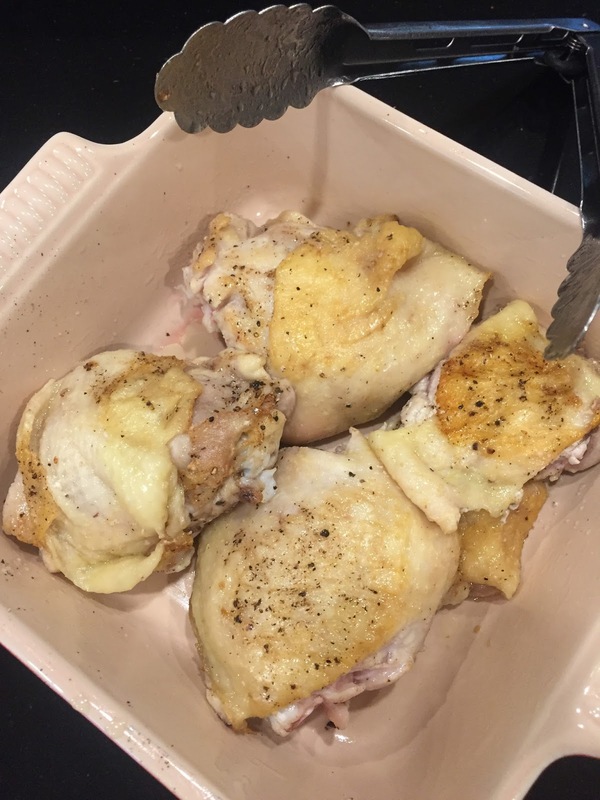 The recipe (with photos) is included below. If you prefer a copy without spilled coffee stains, notes, and other jottings, check it out online here. 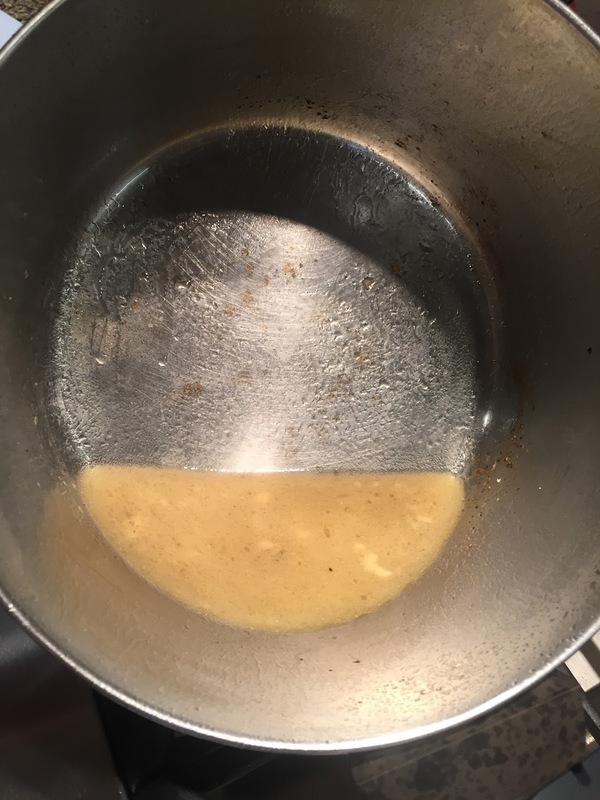 We are talking soup on this edition of the Indiana Home Cooks podcast. 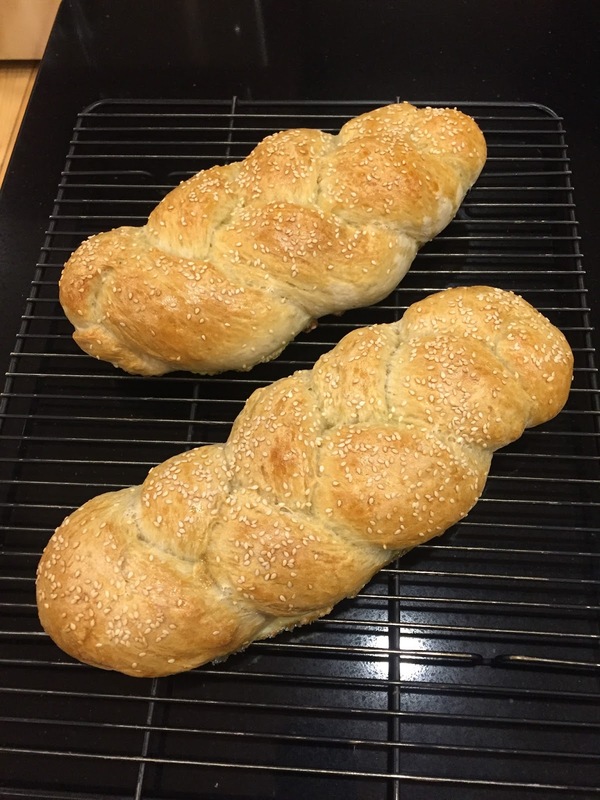 Please check it out and hear how much fun Katy and I had in the kitchen! 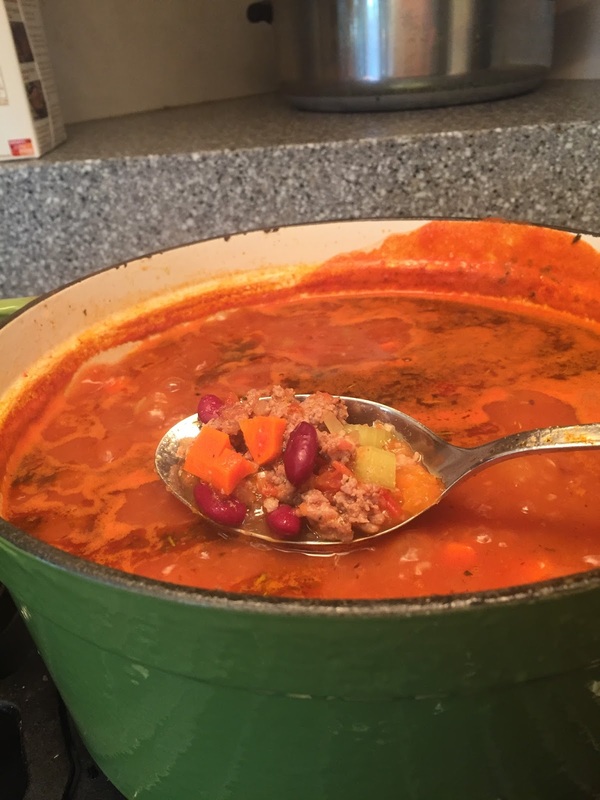 She showed me her family’s favorite Italian Sausage Minestrone. It’s from the Taste of Home website. Remember, substitute your favorite beans if you don’t like the white beans called for. Katy uses dark red kidney beans. They look much prettier, in our opinion! Many years ago, I subscribed to the Taste of Home magazine. 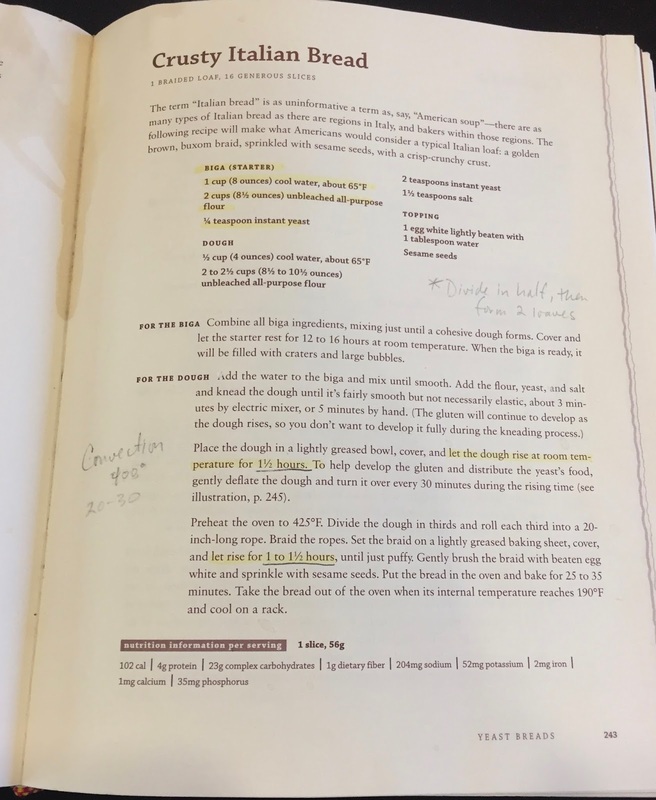 My recipe file has several recipes clipped from that publication. I no longer subscribe to any food magazines, although I have considered signing up for Bon Appetit or Food & Wine. For now, my food magazine browsing is confined to the waiting room at the doctor or dentist office. If I see something that looks good, I whip out my phone and take a picture of it. It really steams me when someone rips out the recipe! After about an hour of simmering, turn off the heat, remove the meat to a cutting board and let it cool until you can handle it. 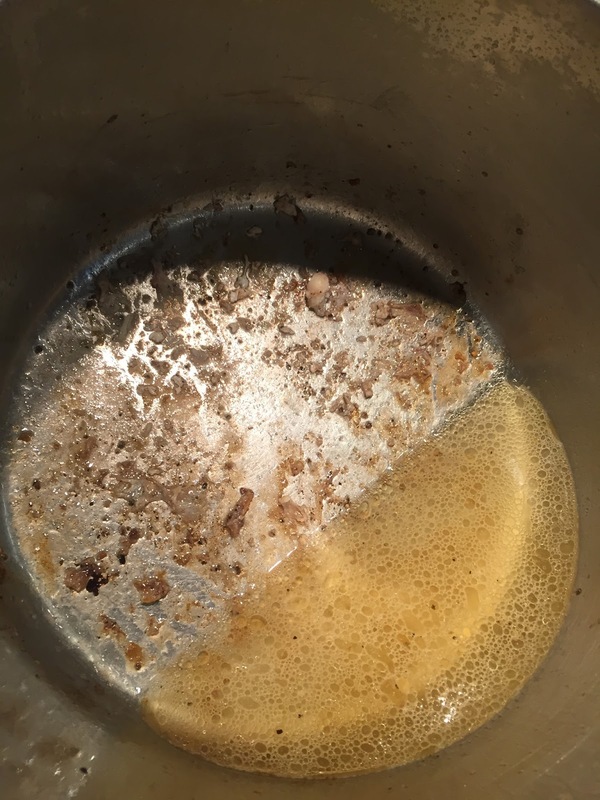 Remove all the meat, throw away the bones & skin, drain the broth and use for soup, gravy, sauce, or freeze it for later. 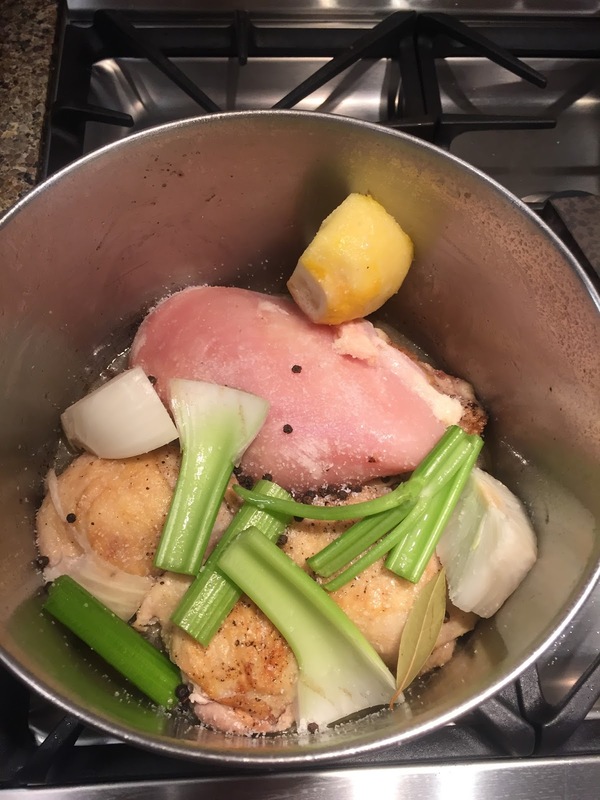 By browning the thighs first, you give your broth extra flavor and a little extra richness. Enjoy!